With its professionally finished appearance and quick setup, the X Banner is a lightweight display that makes a great addition to any trade show exhibit. This lightweight display is made from fiberglass and aluminum. 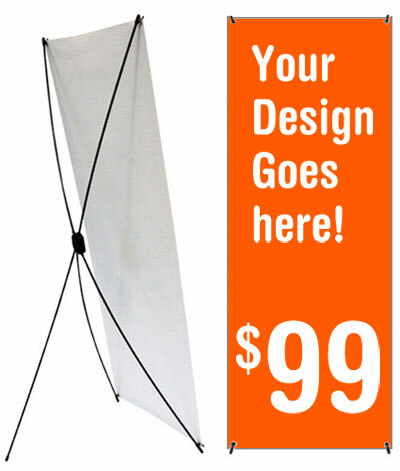 The price includes a X-banner stand and a full color print of your design in the size of 24x63" on vinyl.